Typical Items Installed On a Shelves - AdventureTech, LLC. 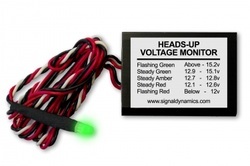 I have used this 1/4 LED volt monitor myself and like it for it's "at-a-glance" information attention getting features for voltage changes. It mounts with a 1/4" hole. Find it in our electrical accessories. The European ISO 4165 power socket is a very popular item for powering heated clothing. It's connection features (clicks in) is somewhat more robust than the the standard American cigarette style socket. You may hear these sockets refered to by the brand name (e.g., Powerlet, Hella, Merit, John Deere, etc.). 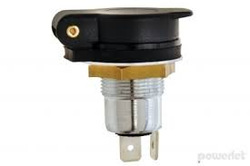 Round rocker switches are popular for turing accessories on and off. 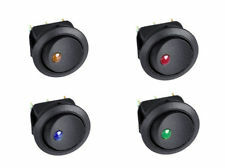 If you need more than one switch they also come with color LED indicators to keep track of what's on and off or to select the correct switch at a glance. 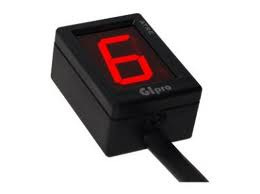 The smaller GiPro can be mounted from underneath a shelf as shown below. The larger GiPro with ATRE can be surface mounted on top of the shelf. Several digiatl volmeters have been installed on our shelves. By far the most popular is the Datel two-wire meter shown above. 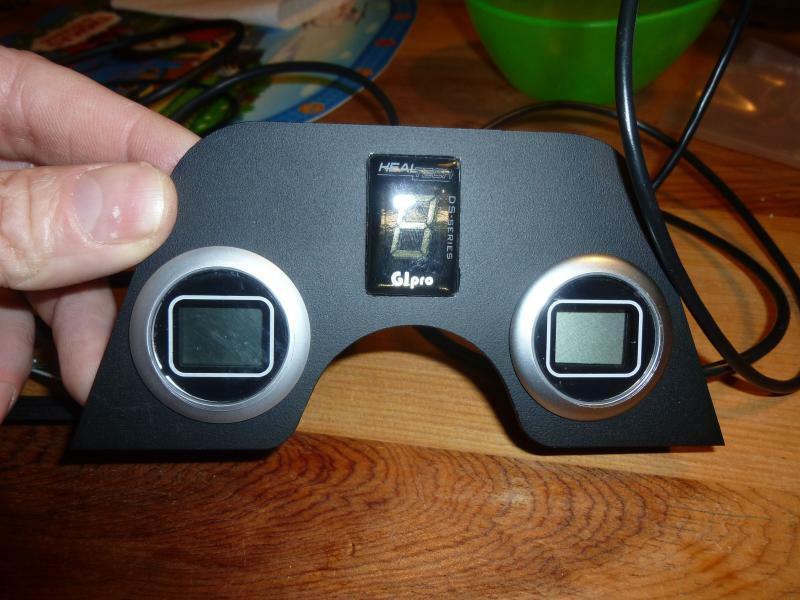 However, other (less expensive) units have been sourced from "Add-On Parts," and ebay. If cruising ebay for a digital volt meter, remember, smaller is better. High, low, off. We like the symtec brand of grip heater because they work well, are inexpensive, and install easily. Digital temperature read outs are available from several vendors. Add-on Accessories of Vermont has a nice matching digital voltmeter and digital thermometer. Gammatronics of the UK has an LED warning light that signals the possibility of ice at 3C and 0C degrees. 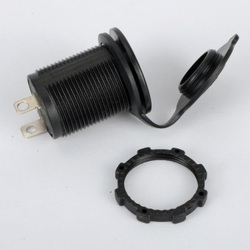 Most accessories sold in the U.S. come with a male cigarette socket plug. The female socket fits easily on our shelve with room to spare for several other items. Find them on our electrical accessories main page.